This has been on my mind almost endlessly since before George Romero died, and even more so since. 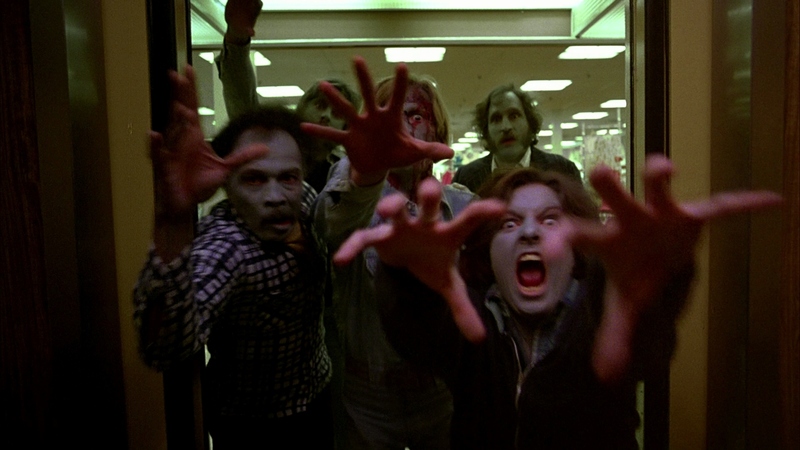 The man created the modern zombie and forced them almost brutally into popular culture with his 1978 sequel DAWN OF THE DEAD. With such an iconic title, plot, and impact on cinema, one would think the film would be rather easy to acquire. But actually, it isn’t. The film has been out of print for quite some time. While there are a few, sometimes expensive, region locked releases in countries outside of the US, it’s become increasingly difficult to find a native Region 1 copy. The film was released on VHS, DVD, and at one point even on an outdated Anchor Bay Blu-ray. But all of these releases are out of print and a used copy of even the Blu-ray could easily sell for almost one-hundred dollars. So, why is Dawn so hard to find? Why is such an iconic title out of print? The answer lies within rights holder Richard Rubinstein who supposedly won’t lease Dawn of the Dead for anything less than an insane amount of cash. Many have theorized this is because he had the film converted for 3D several years ago, and if you haven’t imagined why that would be a problem – the conversion cost $6 million to complete. That’s right, a film that only cost $685,000 to produce was converted to 3D for several million dollars. You may also have noticed that 3D cinema has died down considerably in the last few years, proving it was nothing more than a fad like the 3D releases of the 1950s or early 1980s. Because of Rubinstein’s desire to cash in on this fad, everyone has to suffer for it. Dawn of the Dead may continue to be kept in his clutches because he knows he’ll never make the money back on it. I can only hope that he gets the idea to finally just release the film, or someone else manages to buy it off him. A true shame for such a classic, but if the film taught us anything, it’s that you can’t always keep the dead locked up and away – and this horror masterpiece is no different. How do you feel about the lack of release for Dawn of the Dead? Sound off in the comments below! And don’t forget to follow and subscribe to Brain Mutant!